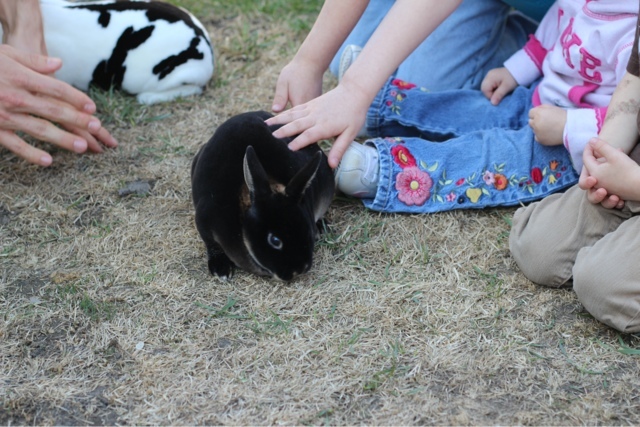 Women on a Mission: Mom Edition: WTF (WAY TOO FUN): BUNNIES! Shane is a national champion rabbit breeder! 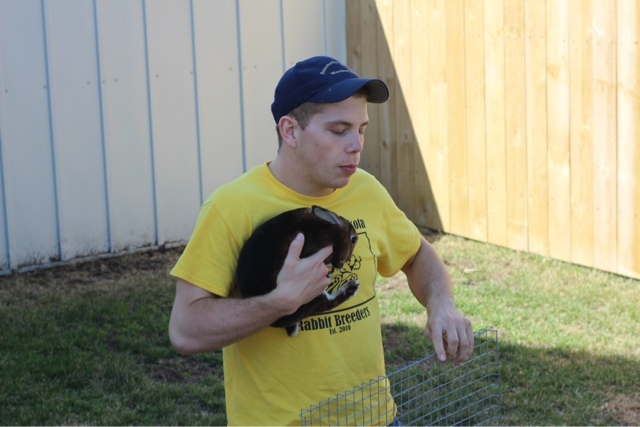 Shane also worked on my housing staff at my little city, ND college. I asked Shane if he would bring the bunnies to daycare and he agreed! THEY LOVED THE BUNNIES! 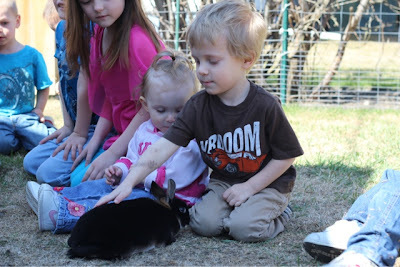 They loved petting the bunnies! 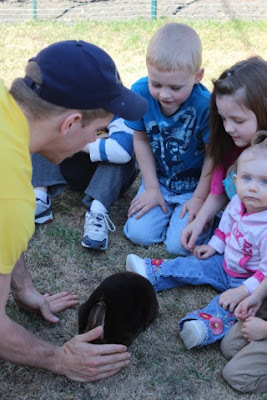 He was thrilled for the bunny visit! Thank you Shane!